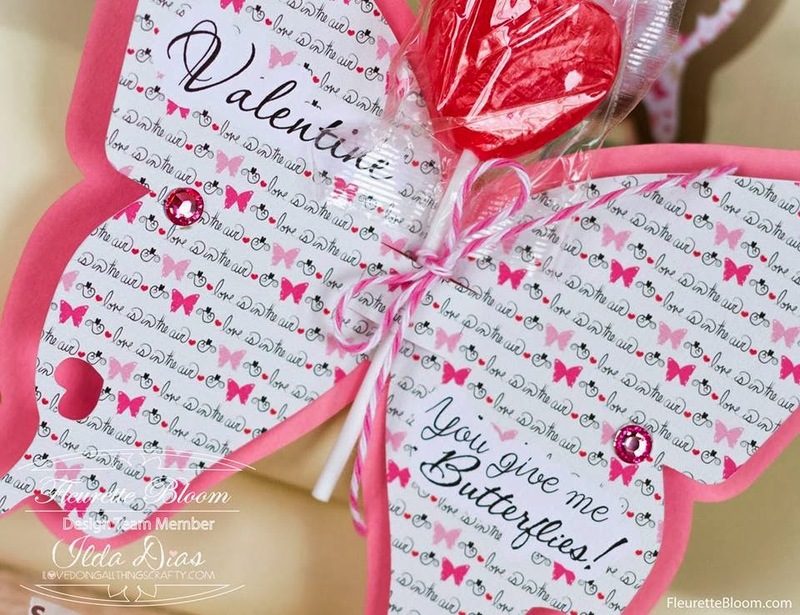 Today I want to share with you a few Valentine classroom treats that I made for my kiddos friends and teachers. 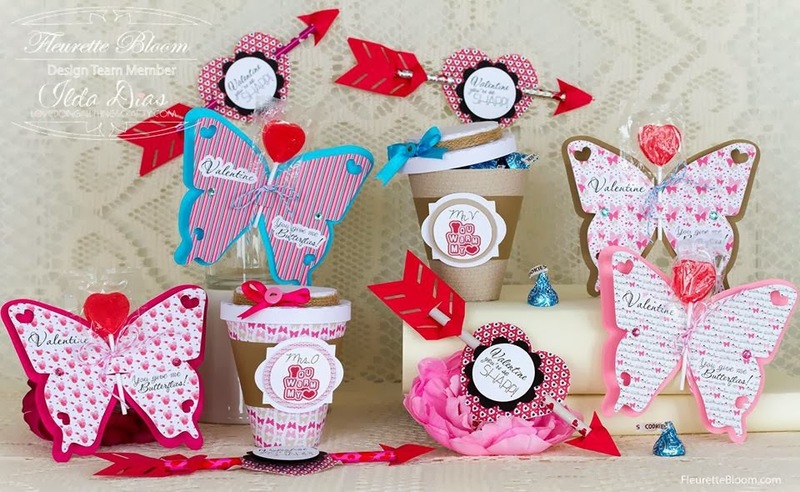 The files for this project come from Fleurette Blooms Valentine Be Mine SVG Kit and digital papers from Hearts a Flutter Paper Pack. I created this Valentine's sentiment using the Print n Cut feature of the Silhouette. Used a font I liked and just layered it on top of the digital paper before I printed it. I also personalized the label on the coffee cup using the same technique. Love this coffee cup! 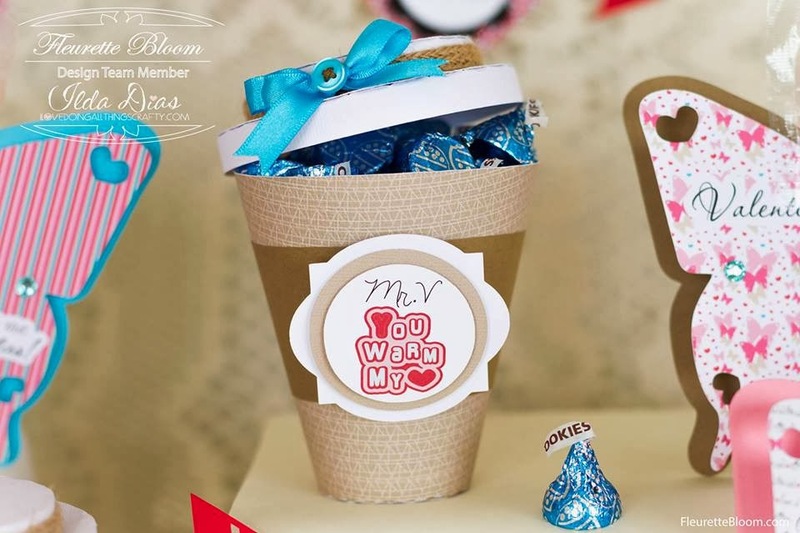 Perfect for filling with treats or storing a gift card to the their favorite coffee shop. I think the boys are going to love these little pencil arrows. I can see them poking each other with these already, lol! 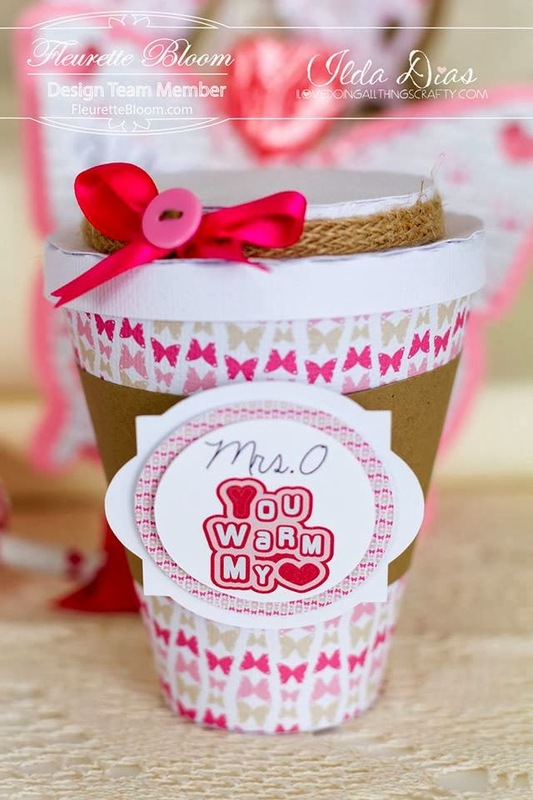 I hope you have been inspired to create some of your own Valentines Classroom Treats. Now back to making a bunch more of these for the rest of the class. Fabulous projects! 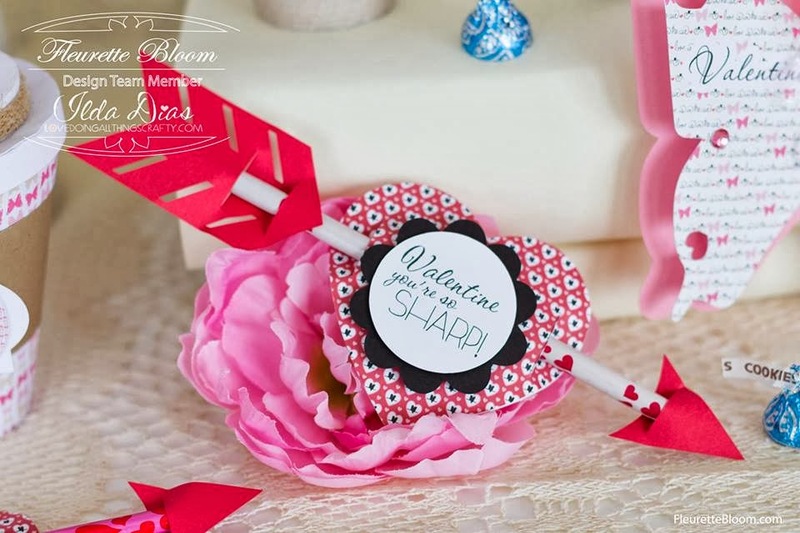 So many fun idea's for Valentine's Day! Love it all! TFS! Beautiful creations Ilda, love them all.